During one of the Ministerial Get-togethers, held in the lawns of the Prime Ministers bungalow, the Environment Minister observed that few people were floating around Ministers of Energy, Agriculture etc. These people looked a bit special. While they looked like “babus”, they were enthusiastic and efficient. That seemed odd. When asked, the Environment Minister was told that these people were the Officers on Special Duty (OSD). “Don’t you have one?” The Energy Minister asked the Minister of Environment. “If you want the impact or bring in a change, then you will need one – You can also use an OSD to checkmate the volley of secretaries in the Ministry – one of the greatest stumbling blocks to bring in any change”. 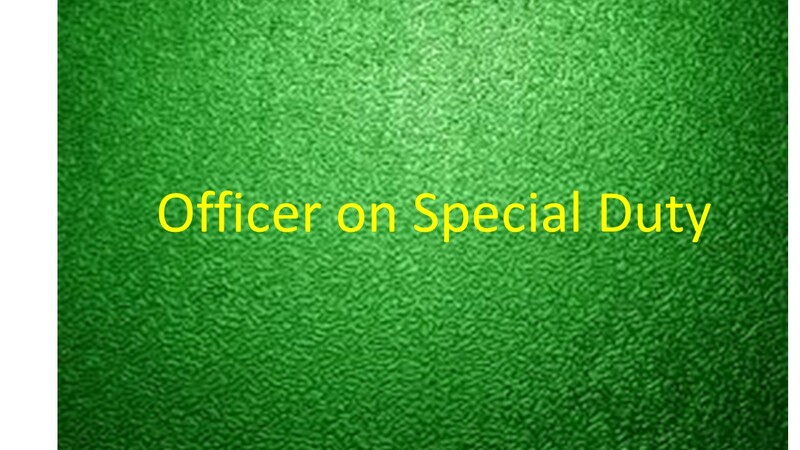 An OSD (Officer on Special Duty) is an officer in the Indian civil service considered of the status between a Secretary and an Under Secretary. The practice dates to the British colonial rule in India. The Environment Minister called my Professor Friend for help and suggestions. As usual, Professor asked me to tag along and I gladly obliged. Do you have any special duties at all Minister? Professor asked a question so basic and fundamental. “Good question – “The Environment Minister said. He looked outside the window. It was a Friday evening and Delhi was under a thick smog and it appeared as if the streetlights were in tears and blinking. The traffic was crawling with emissions oozing out like a slow poison. Solving the puzzle of Delhi’s air pollution could be a special duty that could be assigned. The Minister muttered to himself. I knew that this task was far beyond any OSD or the Prime Minister for that matter and a herculean task even if the Nations were United. For a change, the Professor allowed me to speak. “Well Dr Modak, don’t forget that these divisions were created to accommodate interests of the individuals and not because of any reasons genuine. If we apply rationality and collapse these divisions, then we will be confronted by protests & political inquiries” Professor said this with some caution. The Minister agreed. I was disappointed. I thought that the Ministry required a thorough restructuring rather than the present amoeboid format. But I didn’t want to give up. Professor did not like this idea either. “Minister – This task is no big deal or worthy of putting time of an OSD as we already know that nothing happens after the MoUs get signed. The case is just like MoUs signed during Vibrant Gujarat. Most MoUs use the broad term “cooperation” and make a “laundry list of topics for collaboration”. You should be firing those who drafted such inconsequential MoUs”. I kept shut. I thought that Professor was right. Most such MoUs of the Ministry were drafted by retired Secretaries and Ex-Professors from JNU. “Well, Minister Sir, Are you aware about the functions of the Economic Cell? ” Professor asked. (I did not even know that such a cell existed in the Ministry). When there is an obligation on the government to take a certain action for the benefit of the larger good.. In the above “economic” perspective, I thought – attaching the OSD to the so called Economic Cell will be a good idea. All matters having bearing on internal and external economic management in the Ministry and reform in the environment and forest sectors. Providing material for Economic Survey of M/o Finance, Finance Minister’s Budget Speech, etc. Nodal Division for handling and coordinating all matters referred by the Ministry of Finance. Secretariat for the Sectoral Committee to Review the Release and Utilization of the Grants-in-Aid for State Specific Needs recommended by the Thirteenth Finance Commission. Compliance under the Fiscal Responsibility and Budget Management Act, 2003. We discussed several other possible special duties for the next hour with the Minister but each suggestion made was ruled out by the Professor saying that it was hardly any special duty. All duties seemed either routine or inconsequential. Nothing seemed special. After such a frustrating discussion, Professor got up from his chair and said “Minister Sir, let us work other way round “. I knew that Professor had a different thought. “Sir, do you have anyone particular in mind?” Professor put this rather probing question. An OSD is chosen by the Minister based on personal preference or based on the recommendation of the people well known to the Minister. OSD is among the personal staff of the Minister and his term is co-terminus with the tenure of Minister. There is no notification for the selection of OSD. The Environment Minister said no. “Oh, are you talking about Mr Hardik Shah who was Member Secretary of the High-Level Committee under the chairmanship of T.S.R. Subramanian?” I exclaimed. But I had another suggestion. “How about appointing Mr Shah as your Personal Secretary (PS) instead of an OSD”. I said “In this capacity and under your support, Mr Shah will be able to help you in bringing the desired change in the Ministry”. The Environment Minister liked my idea. And this is how I was told that Mr Hardik Shah got appointed as a PS to the Environment Minister. I guess the Ministry had to follow the appropriate procedures. Apparently, his appointment took place just in the last week. I now hope to see some action at the Ministry of Environment especially on the T.S.R. Subramanian Committee report. My best wishes to you Mr Shah and count all my support. There could not have been a better choice. Though Gujarat’s loss, Nation’s net gain. As OSD (or otherwise) he is perfectly shaped to tackle much bigger problems in the domain. All the best.